I am happy to witness the 484th years of Jakarta, Indonesia’s great capital. A few quick shots of the old and new mass transportation over here. A bemo is a three-wheel, 7 seater mini-cooper wannabe. 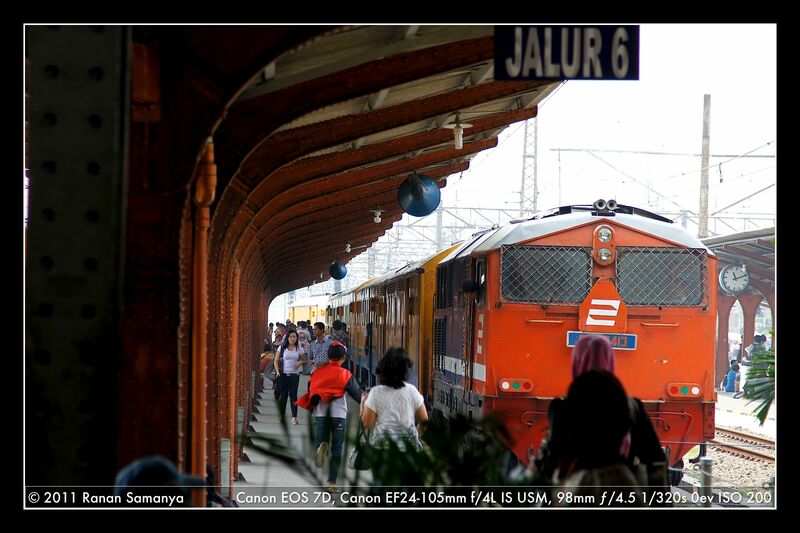 It has been serving the Jakarta commuters for more than 40 years. 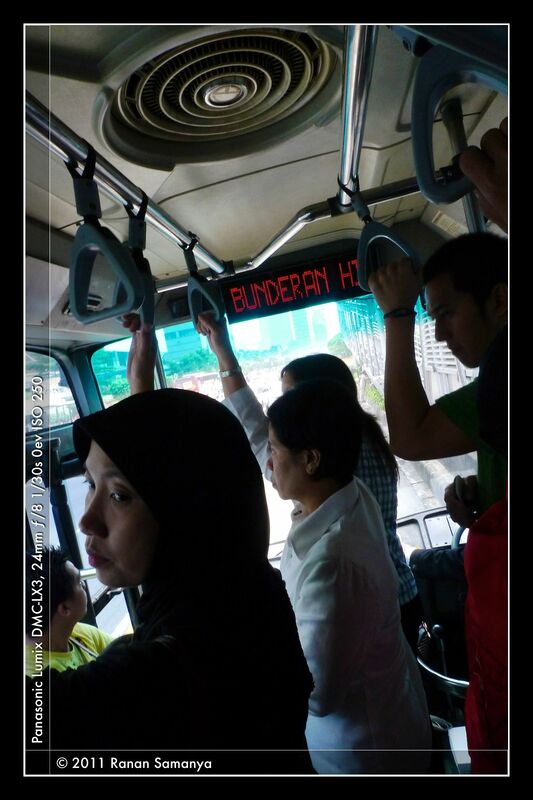 It's a cramped way of transporting people: the six persons sitting behind will sit knee-to-knee. But it's fun. I used to hang on the outer guardrail behind to become the 8th (or sometimes 9th) passenger when I was still in primary school. Busway, once opposed by many, is now probably the most comfortable mass transport. 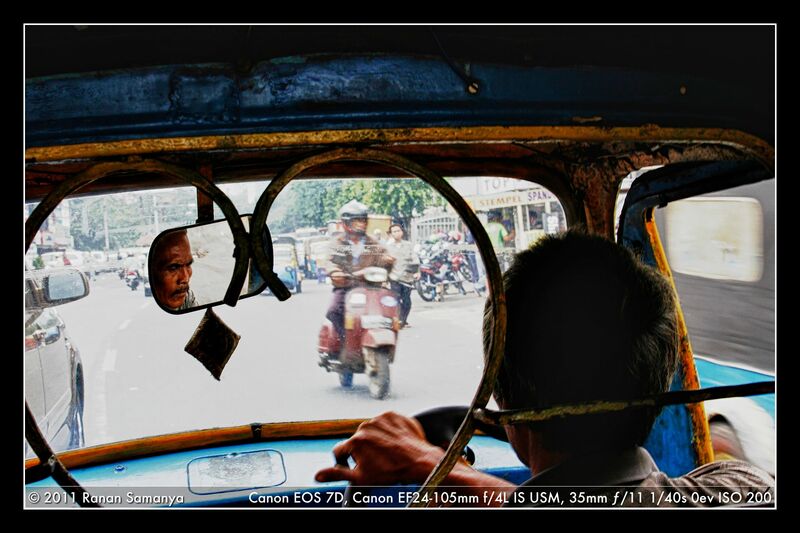 For IDR 3500 we can get from the beginning to the end of its route. And it has got aircon. 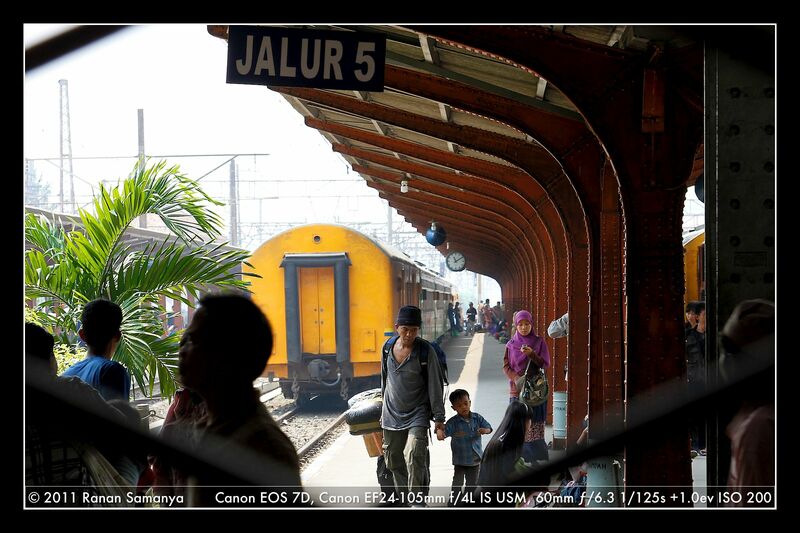 This and the picture after, were taken in jakarta Kota, the oldest train station of Jakarta. Train has been the most popular mode of intercity transportation, apart from buses.